Selected based on results in terms of Return on Investment (ROI) and units profit but also crucially scored well during the review period for market and quoted odds availability. Robert Fraser Tennis & Chloe’s Football Focus will be added shortly. Pinnacle Racing Tips Subscriber Email – Received at 09:10 UK Time. 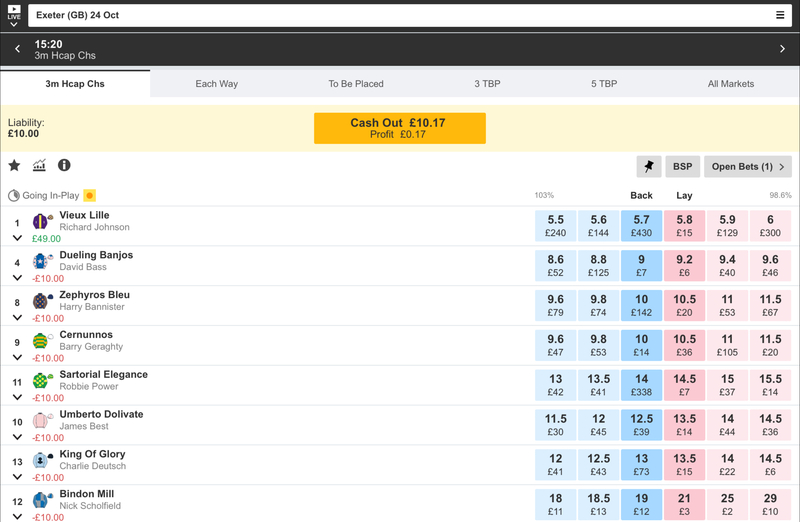 Yarmouth 24th October 2017 Betfair Betslip Result- Talaaqy [Odds 1.73] Profit shown is net before commission applied. 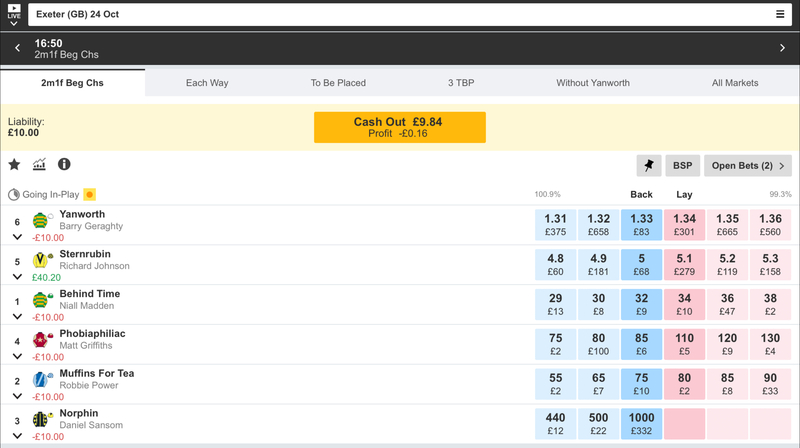 2/2 selections lost today however the value rating was relatively high for both markets. Sternrubin challenged well and had every chance. 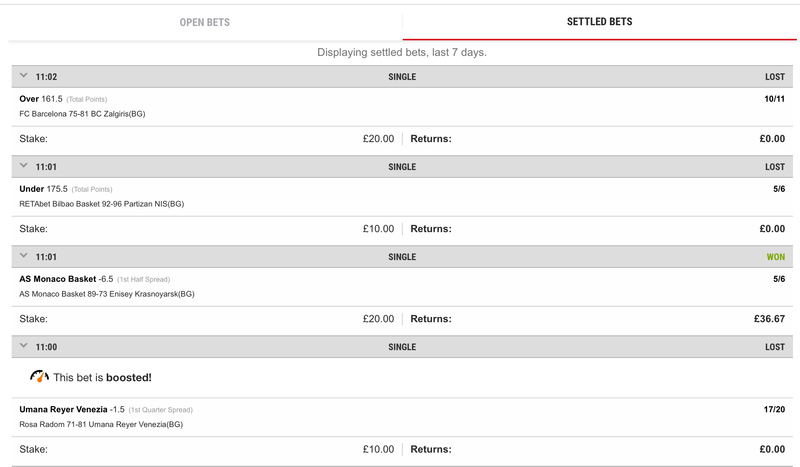 Optimistic outlook going forward however for today 2 units lost which equates to -£20.00 at current stakes.